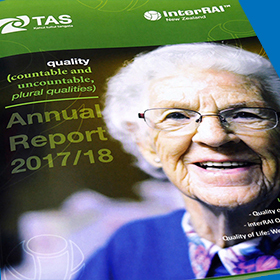 We are pleased to present the interRAI New Zealand 2017/18 Annual Report. The theme for this report is Quality and we hope you find our feature stories on aspects of quality interesting and insightful. The 11-member Governance Board provides leadership and oversight to interRAI in New Zealand to ensure the continuous improvement of health outcomes for New Zealanders.